My friend Ralda is a very good cook. Last week while having dinner at her house, we ate a delicious salmon en papillotte on a bed couscous flavoured with aromatic spices. 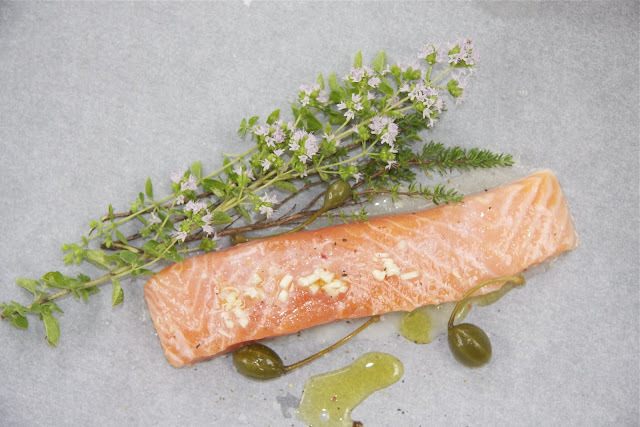 This reminded of years ago when used to cook salmon with julienne of vegetables and a dash of white wine, because I was then working full time and relied on easy and light dishes. 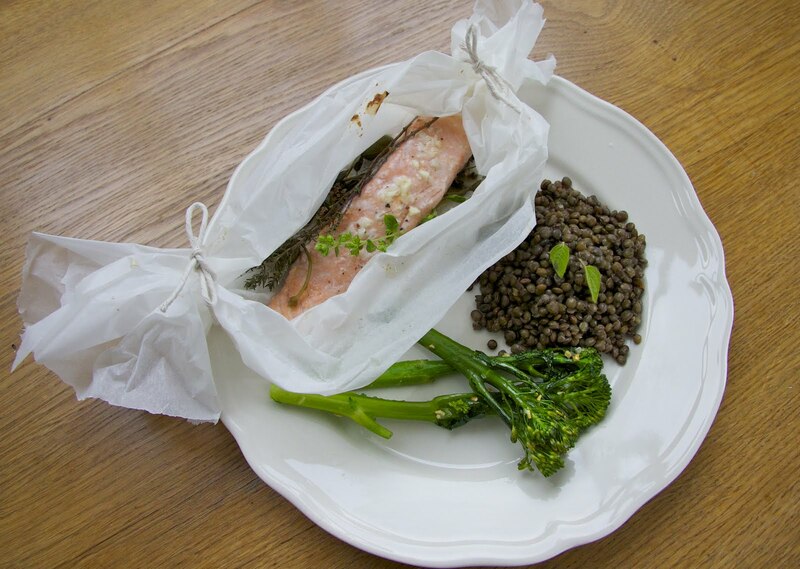 Year later I reinvented my old recipe and replaced white wine with Lebanese Arak and served the fish with puy lentils and broccoli sautéed with garlic and olive oil. I omitted the julienne of vegetables, added caper berries, marjoram, thyme, black pepper and salt flakes. I wrapped the filet in parchment paper, tied the ends with string and baked it for 10 minutes and… Bob’s your uncle! Cut 6 sheets of baking parchment each measuring approximately 30x20 cm. 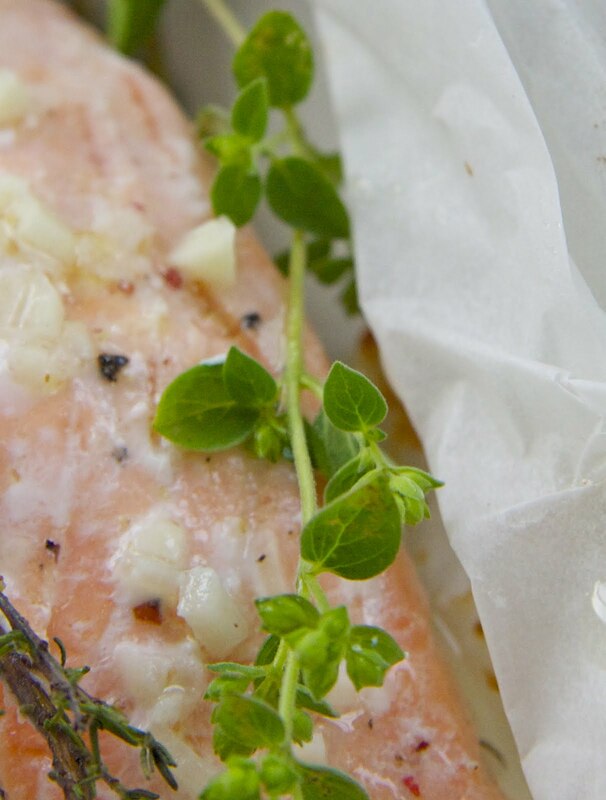 Place a sprig of marjoram and a sprig of thyme on each paper and arrange the filets and capers on top. Mix Arak with the water and garlic paste. Drizzle the fish with the arak mix and olive oil. Wrap the baking sheet over the salmon, covering it entirely. Twist both end, and tie with kitchen string. Bake for 10 to 12minutes and serve.